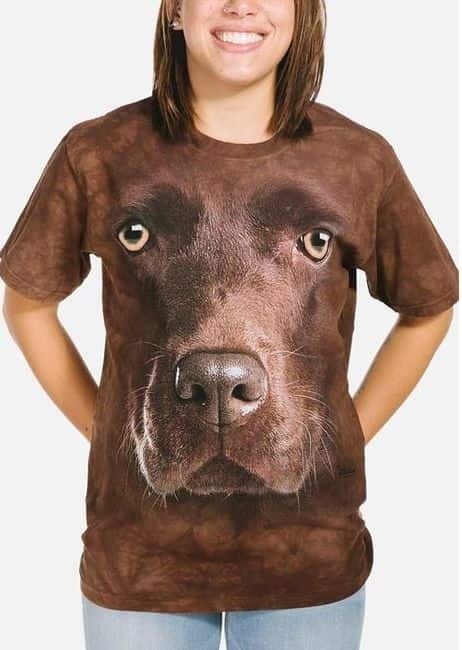 Chocolate Lab Face T-shirt is a doggy design from The Mountain and their big face collection. The design is by artist Vincent Hie. 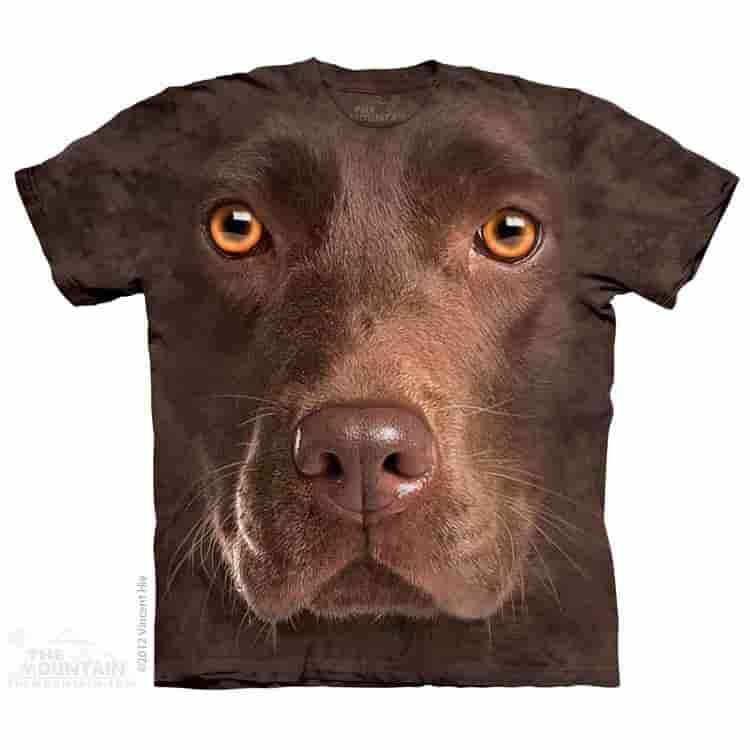 It has a 3D appearance as the realistic Labrador's face covers the front of the t-shirt. Show your love for the dog breed by wearing this epic Chocolate Lab t-shirt. Did you know? It doesn't matter what colour Labrador Retrievers you mate, you can still end up with a chocolate Labrador puppy.